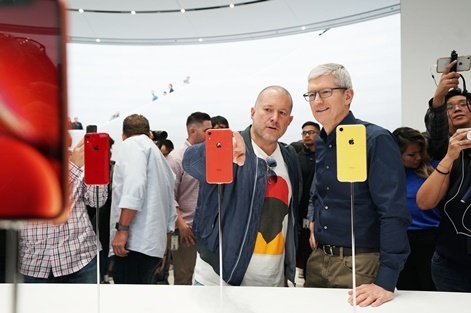 Apple revealed three new iPhone devices at its keynote in Cupertino, California, last night. Called the iPhone XS, XS Max and XR, the trio is based on the current iPhone X range. The iPhone XS Max has a 6.5in (16.5cm) display while the iPhone XS has the same 5.8in-sized component as last years model. The iPhone XR's screen is 6.1in but is made of lower quality to make it more affordable. Loan of a fiver, mate? The iPhone XS and XS Max will also come with dual-SIM capabilities, and most markets will have access to the feature through eSIM tech, which was previously made available on some iPads. Conversely, Apple will include two physical SIM slots for units sold in the Chinese market. Price wise, the iPhone XS Max is set to become the most expensive handset Apple has sold and will fetch a price between $1,099 and $1,446, depending on storage. 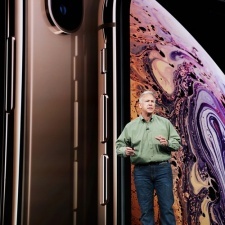 The iPhone XS, on the hand, will match the price of the original and will sit between $999 and $1,349. The iPhone XR will represent the cost-effective option and will be available from $749 to £899. The iPhone XS and XS Max are available for pre-order from September 14th and will ship on the 21st. The iPhone XR, meanwhile, will be available for pre-order from October 19th and will ship October 26th. Apple also revealed that it would be lowering the starting price of its iPhone 7 and 8 models by $100. That means the iPhone 7 Plus, iPhone 8, and iPhone 8 Plus can now be fetched for $449, $569, $599, and $699, respectively. The tech giant has also discontinued the iPhone SE, iPhone 6s, iPhone 6s Plus and iPhone X, which means that iPhones with a headphone jack won’t be available through any official channels.